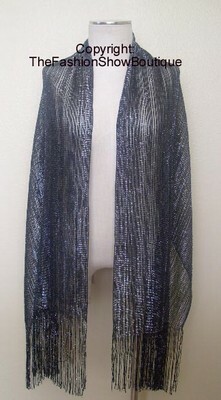 Long shawl with tassles. Black with silver. Approx. 76" long and 18" wide. 75% rayon, 25% polyester.